Rebellion by Congress MLAs in Haryana helped BJP-backed Independent candidate Subhash Chandra score an upset victory as Congress stalwart Kapil Sibal pulled it off in Uttar Pradesh in the Rajya Sabha polls in which union ministers M Venkaiah Naidu, Birender Singh, Nirmala Sitharaman and M A Naqvi won comfortably. Senior Congress leaders Oscar Fernandes and Jairam Ramesh were elected from Karnataka where cross-voting by rebel JD(S) MLAs enabled the ruling Congress gain a third seat. Former IPS officer K C Ramamurthy won the seat defeating JD(S)-backed Independent candidate B M Farooq, a businessman, in the third seat. The major jolt for Congress came in Haryana where the party suffered through heavy cross-voting by its 14 MLAs that led to the defeat of the party-backed Independent candidate R K Anand who was mainly fielded by its arch rival INLD. Subhash Chandra, a media baron, defeated Anand, a senior lawyer and a former MP, after 14 votes of Congress were rejected, state Education Minister Ram Bilas Sharma told the media in Chandigarh. Even before the elections, there was speculation that the overwhelming majority of the 17 Congress MLAs, owing allegiance to former Chief Minister Bhupinder Singh Hooda, would not toe the party line on supporting Anand. In the 27 seats spread across seven states that were up for grabs, 11 went to BJP, 6 to Congress, 7 to Samajwadi Party, 2 to BSP and one Independent. Thirty of the 57 seats in the current round of biennial elections were decided without contest last week. In Haryana, while BJP leader Birender Singh was assured of a comfortable win for one seat, the main centre of interest was the fight was between Chandra and Anand for the other seat. The Haryana assembly has 90 members. Out of 90 votes, Birender got 40 votes while Anand got 21 and Chandra got 15 votes while 14 votes were rejected. After rejection of 14 votes, Birender Singh needed just 26 votes for his own win and his 14 surplus votes were transferred to Chandra as second preference votes, taking the total number of his votes to 29, Rambilas Sharma said. Chandra and this took tally of his votes to 29," he said. After Anand's defeat, leader of opposition in Haryana asembly and Indian National Lok Dal leader Abhay Singh Chautala blamed the Congress for it. "Congress party's 14 votes were rejected because they registered their votes with another pen other than the one provided by the returning officer to record their votes in the voting compartment," claimed Chautala. Former union minister and Congress heavyweight Sibal managed to defeat BJP-backed Independent candidate and socialite Preeti Mahapatra, wife of a Mumbai-based businessman, without the anticipated support of BSP whose two candidates Satish Chandra Mishra and Ashok Sidharth won comfortably. In Uttar Pradesh, all major political parties ensured victory for all their candidates despite cross voting. The results showed that the BSP, which had backed Congress RS nominees in Rajasthan and Madhya Pradesh, chose not to transfer its surplus votes to any other party candidate in UP. 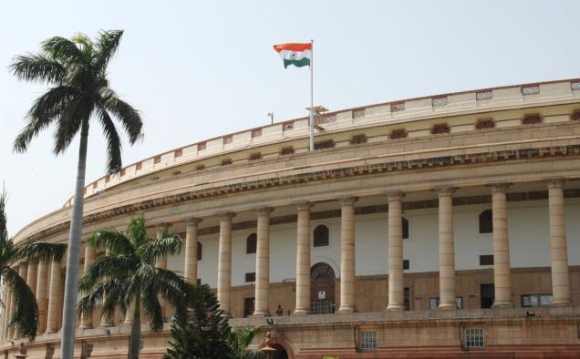 Besides Sibal, the others who made it to the Rajya Sabha from the state are two recent returnees to SP-fold Amar Singh, Beni Prasad Verma, Kuwar Rewati Raman Singh, Vishambhar Prasad Nishad, Sukhram Singh Yadav, Sanjay Seth and Surendra Nagar (all SP), Satish Chandra Mishra and Ashok Sidharth (both BSP) and Shiv Pratap Shukla (BJP). Although Sibal got through, the 29-MLA Congress suffered a jolt with Sibal getting only 25 first preference votes despite 8-member RLD committing four votes each to Congress and SP. There were 12 candidates for 11 Rajya Sabha seats in UP and to secure a seat in Rajya Sabha, a candidate required 34 votes. Cross voting took place in polling as Samajwadi Party fielded seven candidates but the seventh candidate was short of nine first-preference votes for victory. Although SP managed to ensure victory of all its seven candidates, only three were through in the first round of counting, reflecting that the contest was close for the ruling party. Bahujan Samaj Party chose not to transfer its 12 surplus votes with it two candidates Mishra getting 39 votes and Sidhharth 42. The last-minute entry of Preeti Mahapatra, wife of a Mumbai-based businessman, in the fray which forced a contest, managed just 18 first preference votes and conceded defeat even when the counting in further rounds was on. In Madhya Pradesh, the results were on expected lines as BJP candidates M J Akbar and Anil Dave and Congress' Vivek Tankha were elected even as BJP-backed Independent candidate was defeated. BJP's bid to spoil the Congress candidate's chances by fielding its leader Vinod Gotia as an independent candidate did not succeed. Gotia got 50 votes -- 48 surplus votes of BJP and two independents -- against the 58 required for win. Senior journalist M J Akbar and state BJP leader and strategist Dave polled 58 votes each, while Tankha secured 62 votes -- 57 from Congress, four from BSP and one independent, returning officer Bhagwandas Israni said. BSP supremo Mayawati had issued a whip to its four MLAs to vote for Tankha. If it was the Congress at the receiving end in Haryana, revolt-hit Janatal Dal-Secular suffered the humiliation in Karnataka with eight of its MLAs cross voting in favour of the Congress. Congress' candidate Ramamurthy chalked up a resounding victory securing 52 votes, aided by the support of Independents and JD-S rebel MLAs, defeating JD-S-backed nominee B M Farooq who managed 33 votes against the party's strength of 40 in the Assembly. "Eight MLA's have voted against the JD-S in the Rajya Sabha election in favour of Congress. On Sunday, in the party's meeting, we are going to take action against them according to provisions of the party constitution," JD-S spokesman Ramesh Babu said. Rebel JD-S MLAs who cross-voted are Zameer Ahmed Khan, Chaluvaraya Swamy, Iqbal Ansari, Balakrishna, Ramesh Bandisiddegowda, Gopalaiah, Bheema Nayak and Akhanda Srinivas Murthy, Babu said, admitting the loss much before polls ended. The Congress with 122 members was assured of two seats for Ramesh and Fernandes and with a surplus of 33 votes, the party fielded Ramamurthy. The required strength for victory was 45 votes. Nirmala Seetharaman secured 46 votes with the BJP, which with 44 members was short of one vote, making up the shortfall comfortably. Union Minister Mukhtar Abbas Naqvi and Mahesh Poddar bagged the two Rajya Sabha seats for BJP from Jharkhand. Poddar won on Naqvi's first preference votes. While Naqvi got first preference vote of 2900, the surplus 264 votes went to Poddar making his count 2664 and pushing JMM's Basant Soren to the third position with 2600, election officials said. Out of total 81 MLAs, 79 cast their votes, they said. JMM MLA Charma Linda and Congress MLA Devendra Singh could not cast their vote. Earlier, in the day, the police said JMM MLA Chamra Linda was arrested following a 2013 arrest warrant in connection with a scuffle with the guards near the assembly gates. The Congress MLA also could not vote as he too faced an arrest warrant. But another Congress MLA Nirmla Devi, who too is facing a warrant, managed to cast her vote as she was escorted by JMM working president and former chief minister Hemant Soren into the assembly. Meanwhile, social activist Sambhaji Raje Chhatrapati, a descendant of Maratha King Chhatrapati Shivaji, was nominated to the Rajya Sabha. Sambhaji Raje is from the direct lineage of Chhatrapati Shivaji and Rajarshi Shahu Chhatrapati Maharaj of Kolhapur who had funded the movement led by Dalit icon B R Ambedkar for justice to the depressed classes for some time, sources said. He is involved in ensuring harmony among various social groups in Maharashtra and in efforts for restoration of forts in the state, they said. The nomination of Sambhaji Raje comes after Pranav Pandya, head of All World Gayatri Pariwar, declined the honour last month, saying atmosphere in the Upper House was not conducive for him. "I don't think the atmosphere in Rajya Sabha is conducive for me. It will never be," he had said, giving reasons for declining the nomination.